Our wonderful girl Fawn is finally off to her forever home. She was with us for 3 months so by the time she left for her new home, she had rock solid obedience and was going on all of our evening pack walks off lead. 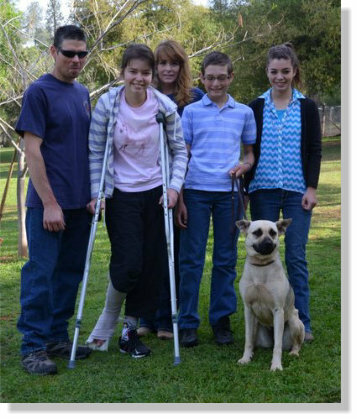 As you can see form her picture, she has a wonderful new family to provide her with everything a girl could ask for! We will definitely miss this awesome dog. Be good Fawn and come back for a visit when you are in the neighborhood! 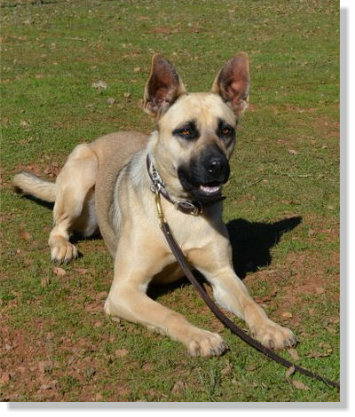 Fawn comes to us from the very kind people at the Amador County Animal Control and Adoption Center. 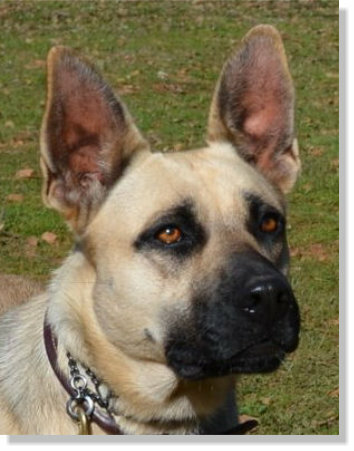 Fawn is a young adult (Vet is guessing she is about 1 year old) German Shepherd mix. Per her DNA test results, she also has English Setter, American Bulldog and Rottweiler mixed in! Fawn is a very pretty girl who got a little carried away with the eye liner!! She is a very friendly girl with all the people she has met. 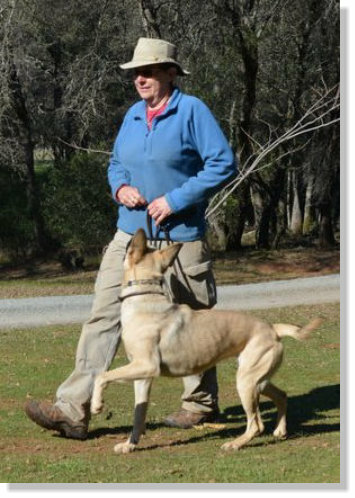 She has beautiful focus on her trainers when she is practicing her obedience lessons and loves to come out and train. a new dog she is very pushy with them. She has never started a fight with any other dogs and when they tell her to back off, she does. Fawns favorite game is chase!! She also has very strong toy drive and has tested very well for search and rescue type work. 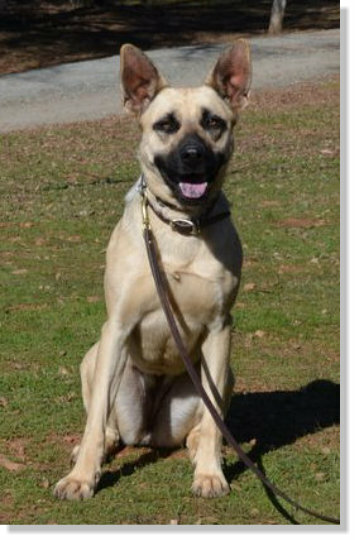 Fawn would love to go to a family that would spend time training her and most of all...play with her! She can turn just about anything into a toy to play with! A fenced yard is a must if you would like to adopt Miss Fawn!